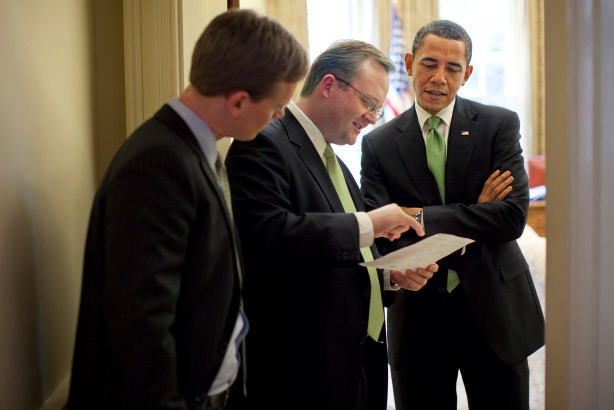 Robert Gibbs rocketed to political superstardom as the top press aide to Barack Obama during the 2008 presidential election. He’ll have to be just as much on his game to help McDonald’s out of its slump. What’s harder, getting a president elected or turning around McDonald’s? Robert Gibbs is about to find out. The former White House press secretary was hired by McDonald’s this week as its EVP and global CCO, replacing the outgoing company veteran Bridget Coffing as the company’s top communications pro. It’s not the easiest of times for the fast-food blue chip. Revenue was down a massive 11% in the first quarter as US same-store sales dropped 2.6%. The company’s Q1 profit nosedived to $812 million from $1.2 billion in the previous year. The numbers only tell part of the story. What’s more is the creeping ennui about the McDonald’s brand. While no other fast-food chain can match it in terms of footprint, other fresher and more local rivals are quickly replacing it in the cultural consciousness. That’s why many observers are looking at Gibbs’ appointment a bit cockeyed. His political career has been defined by working for the underdog first-term then-Senator Barack Obama, who overcame two far-more-experienced opponents to win the White House. In other words, Gibbs wasn’t crafting a message for McDonald’s in 2008, he was working for Shake Shack. To its credit, McDonald’s realizes this. In its announcement this week, recently appointed CEO Steve Easterbrook said Gibbs and new EVP and global CMO Silvia Lagnado "will bring a wealth of experience and outside perspective to McDonald’s as we build a more modern, progressive burger company." "Modern" and "progressive" being the key words. Gibbs, of course, has been in the trenches before, both on the campaign trail and in the White House. Faced with absurd rumors about candidate Obama’s birthplace and religion, as well as unfounded reports about speeches supposedly made by Michelle Obama, the campaign team launched the then-trailblazing Fight the Smears website to punch back. Though some innuendos persist to this day, the debunking site achieved its goal: an Electoral College victory. It’s not hard to imagine McDonald’s using a similar strategy when faced with accusations about ingredients or workplace issues. That track record is one reason why so many high-profile Team Obama veterans have found plum positions in the private sector, from campaign manager David Plouffe (at least for a bit) at Uber and Gibbs’ press-room successor Jay Carney at Amazon. For one, they add star power to the chief comms role, but they also come with years of experience fending off vicious political opponents from all sides. Gibbs couldn’t be reached earlier this week by PRWeek, but when I had the chance to interview him last year during the Carney-to-Josh-Earnest transition in the White House briefing room, he stressed the importance of the Obama administration using its own content to tell its story. "You can’t wait for the interaction with the press corps or the filter," he said at the time. "You have a responsibility and obligation to speak with the people." The Obama White House has done that in many new ways since 2009, often ruffling the feathers of the press corps by granting interviews to YouTube influencers, for instance. And when you look at the breadth of McDonald’s’ reach – 36,000-plus restaurants and more than 69 million customers served each day, or practically a country in and of itself – it makes sense that the fast-food chain hired a CCO who spent years working in uncharted, choppy waters. In this case, orchestrating the comeback of a fast-food giant with serious brand malaise may prove more difficult than planning the ascent of a political superstar. But McDonald’s could take a lesson from the Obama playbook: In a rapidly evolving landscape, it can’t afford to be afraid of change.